The next heat of Tenerife Loves Karaoke 2017 is at the Palms Pool Bar, Golf del Sur Saturday 20th May with fun starting at 9pm. 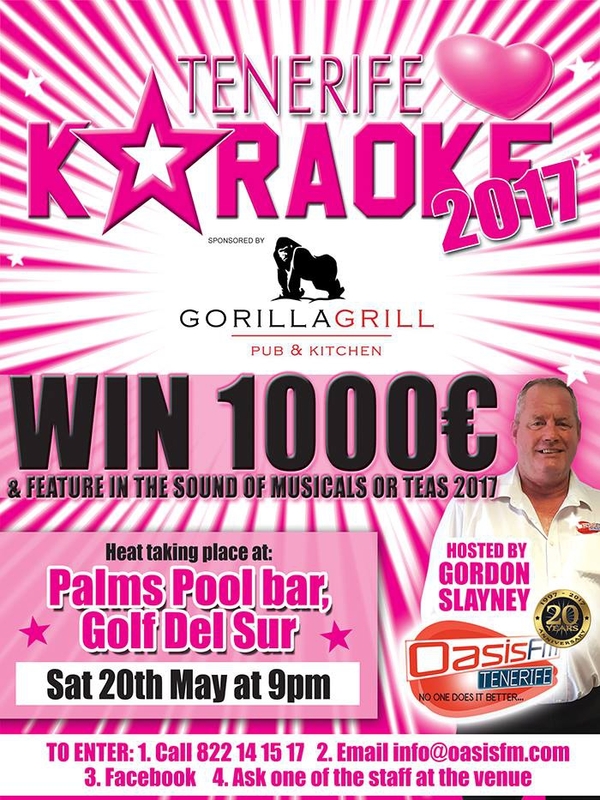 The night will be hosted by Gordon Slayney and sponsored by Gorilla Grill Tenerife. The winner of this heat will become the ninth person to be in this years final in June at Showtime Las Americas.